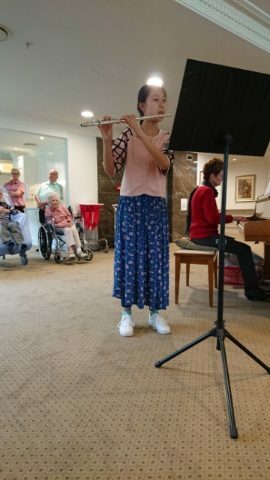 A special commendation this week to Top Notes Music Studio flute student, Hannah who took time out of her busy schedule to play in a concert organised by the Inner Wheel Club of Baulkham Hills to help raised funds for disadvantaged students attending Stewart House. 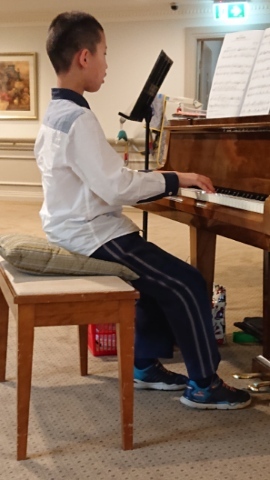 Hannah is also an advanced level pianist, and she played Marriage of Love, made famous by Richard Clayderman, and a Tarantella by Mendelssohn. Hannah learns piano from Mariana Batkhan. The Assembly Hall at Kellyville High School was packed on Wednesday night for the performances by local public school students, and Hannah carried off her first performance to such a large group with confidence and flair. Well done Hannah! Posted in Musicianship, Performance Skills and Tips, Piano. 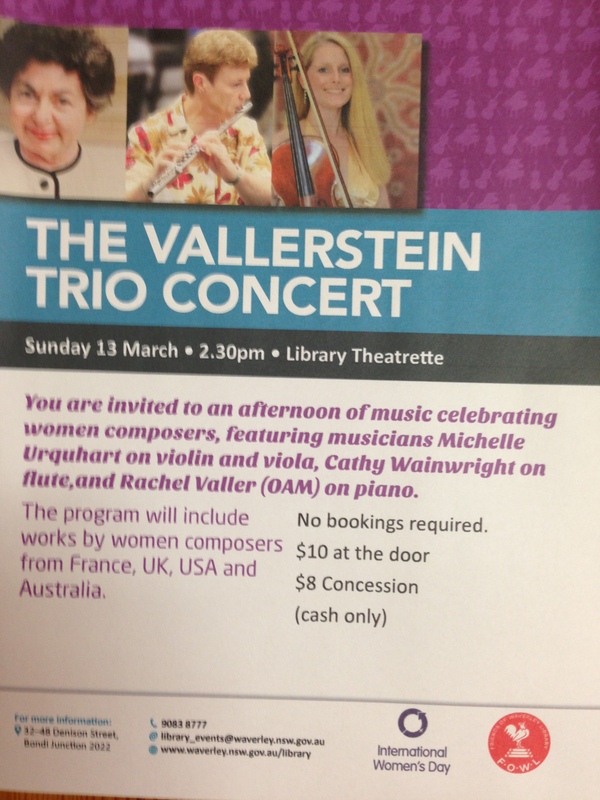 I am honoured to have been invited by Rachel Valler and Michelle Urquhart to join them in what is going to be a wonderful celebration of the creative output of women composers from around the world, to mark International Women’s Day 2016. We would love you to join us. Seating is limited and I am told it fills up quickly, so don’t be late! 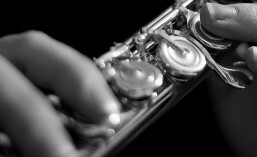 The program includes Anne Boyd’s Bali Moods No 1, Cecile Chaminade’s famous Concertino and Anna Bon’s classical Sonata in G Minor, for flute and piano, as well as lots of other lovely music for various combinations of flute, violin, viola and piano. Does learning piano first help with learning flute? I strongly believe that learning the piano provides an excellent foundation for learning any other musical instrument. Not only do you learn to read both treble and bass clefs, but learning the ‘geography’ of the keyboard makes it much easier to learn scales and arpeggios on other instruments. However, the piano is a solitary instrument whereas learning a ‘band instrument’ means that you get to play in groups with other people, which is lots of fun. Did you learn piano before you learnt flute? Do you agree with these statements? Would you recommend that a beginner student learns piano first before they learn flute? Share your thoughts.